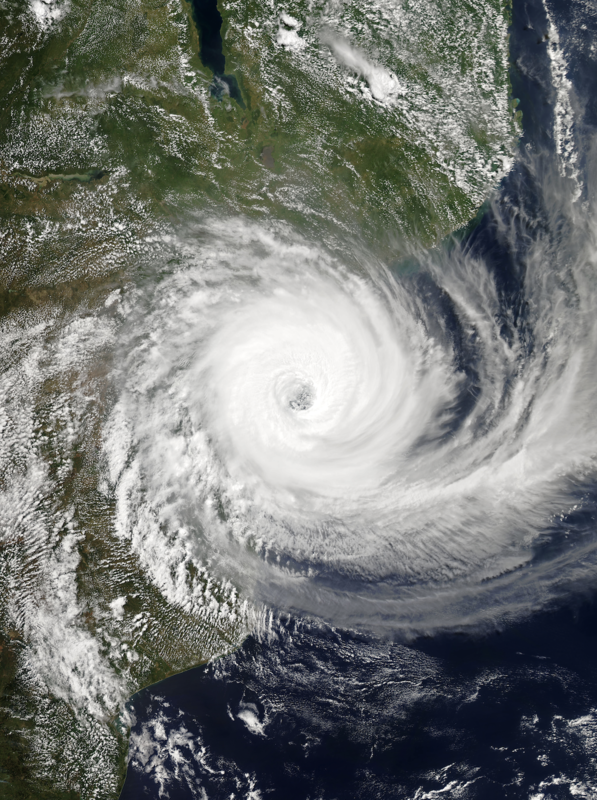 Whether it is the news concerning the devastating aftermath and loss of life from Cyclone Idai (MODIS image pictured) in Mozambique, Malawi and Zimbabwe, severe flooding affecting homes, lives, crops and livestock in Centre-South Brazil and the Central US, the impacts of drought on industry in Australia, India and Ukraine, or poor urban air quality in Delhi and Shenzhen, the importance of understanding and preparing for severe events which originate in the atmosphere should be top of mind. And these are just a few of the many types of aero-geophysical occurrences, which can subtly or acutely affect nearly all aspects of modern societal life. Atmospheric and geophysical perils such as these can exert both positive and negative impacts to human, economic and social systems, ranging in scale from sub-zip code to multiple countries across multiple continents. But 24-hour news cycles and ubiquitous weather information notwithstanding, there is still a widespread lack of preparedness for these events evident across the domestic and commercial landscape, which typically results in severe unfavorable outcomes.